Internet treatments may overcome barriers and improve access to mental health services for people who do not access professional help. It may be particularly beneficial for Chinese Australians, a group that tends to delay and underutilize face-to-face treatments. This study explored the appeal of Internet therapy to Chinese- and English-speaking Australians with depression who accessed Internet-delivered cognitive behavioural therapy (iCBT) programs. Data collected from previous randomised controlled trials of iCBT depression programs were used. Using a matched samples design, 55 Chinese- and 55 English-speaking iCBT participants with depression were matched on age, gender, and depression screener scores. They were compared on their symptom severity, previous help-seeking patterns, and reasons for seeking Internet treatment. 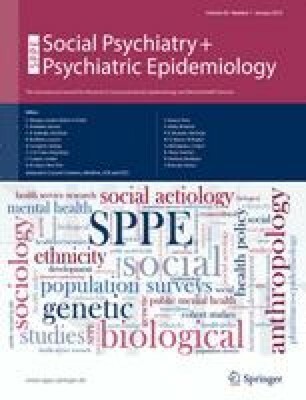 The Chinese-speaking participants had significantly milder depressive symptoms and were less likely to have previously sought professional help compared to the English-speaking participants (all ps < 0.05). Both groups endorsed similar number of reasons for seeking iCBT, and the most common reasons related to reduced structural barriers. However, the Chinese-speaking participants were more likely to seek iCBT due to lack of knowledge about face-to-face treatment (p = 0.005), while the English-speaking participants were more likely to report not benefiting from traditional help (p = 0.030). The attraction of iCBT appears to be the reduction of structural barriers to treatment. iCBT may reduce treatment delay and increase access to Chinese Australians who have not sought professional help. English-speaking Australians are seeking iCBT as an additional means of getting help. The authors gratefully acknowledge Ms Anna Mackenzie for administrative support in accessing the databases. Isabella Choi was supported by the National Health and Medical Research Council Postgraduate Scholarship (Primary Health Care). On behalf of all authors, the corresponding author states that there is no conflict of interest.